George M. Saiz brings multi-faceted manufacturing experience to his new leadership role as president and CEO of AME. The Association for Manufacturing Excellence (AME) is pleased to announce that George M. Saiz has been confirmed as AME president and chief executive officer effective April 18. Saiz has been a member of AME since 2005, and a member of the AME Champions Club since 2007. Saiz served on the AME Board of Directors from 2013-2015. While serving on the AME Board in 2015, Saiz held the position of treasurer. Saiz has been a participating member of the AME Executive Leadership Summit on people-centric leadership since its inception in 2013. A practitioner and strong proponent of lean and continuous improvement since 1992, Saiz is excited to help AME grow its footprint, and to promote enterprise excellence and people-centric leadership among the next generation of manufacturing leaders. 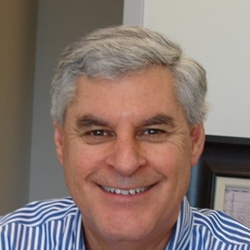 Saiz previously served as president of MicroAire Surgical Instruments, LLC located in Charlottesville, Va. During a career spanning more than four decades, Saiz worked for a number of medical device manufacturing companies in increasing roles of responsibility from manager, director, general manager, vice president, owner and president. He has significant experience in leading complex organizations and generating growth in sales and earnings. Saiz earned his master’s degree in business administration at the University of La Verne in La Verne, Calif., and his bachelor’s degree in business administration from West Coast University in Los Angeles, Calif. The Association for Manufacturing Excellence (AME) is the premier not-for-profit organization dedicated to the journey of continuous improvement and enterprise excellence. AME’s membership is composed of a trusted network of volunteers who are committed to leveraging the practitioner-to-practitioner and company-to-company shared-learning experience. Through engaging workshops, plant tours, webinars, summits and industry-leading conferences, AME members are continually discovering and implementing new continuous improvement strategies and best practices. AME offers its members a multitude of valuable resources to help them stay abreast of current industry developments and improve the skills, competitiveness and overall success of their organizations. Join AME in leading the “renaissance of manufacturing in North America." For more information, visit http://www.ame.org or email info(at)ame(dot)org.